Can you get the most from Clarkdale with such a reasonably priced motherboard? 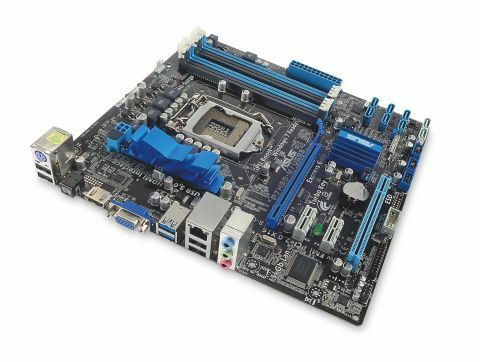 It's a bargain MoBo, but does it deliver the performance? We like the P7H55-M. It's not perfected yet, but certainly a front runner among the H55 boards. Can we have a clock multiplier over 24 please? The release of Intel's Clarkdale chip and its accompanying H55 chipset means new boards all round for Intel's LGA1156 boys. The shiny new P7H55-M from ASUS aims to offer a full-blooded experience at little more than budget price and comes with a raft of overclocking tools to keep the most dedicated explorer of performance tweaks happy. It has the neat ability to adjust its base clock in 1MHz increments, and you've got a Marvell SATA controller running two internal SATA 600 ports, and two external USB 3.0 ports, so you're tooled-up for fast drives. The feature list is full of Asus' unique features; some lovely, some fairly pointless (does anybody on earth use Express Gate?). The two Asus is most pleased about are the new green-friendly Energy Processor Unit, which does clever things to voltage and multipliers across the whole board, and Turbo Unlocker – press a button and get an instant boost with unlocked chips (they tell us).